Heather life cycle stages and succession. 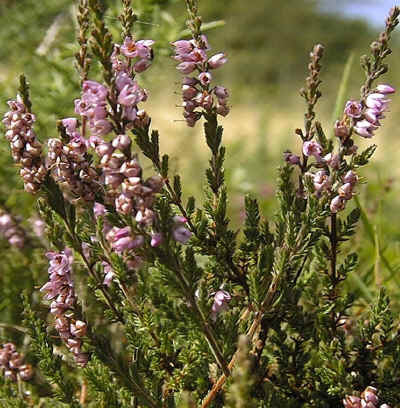 The life cycle of Heather (Calluna vulgaris), which is usually one of the dominant plants of British heathlands, can be described in terms of four main stages. Heather is slowly being restored to the Heathland Restoration site. 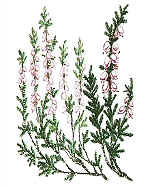 The Heather is currently in the pioneer phase of development. The pioneer phase lasts 5 - 6 years, from seedling development and establishment until the plant has developed into a fully formed bush. In the pioneer phase, Heather cover is small and other species of vascular plants reach their greatest abundance. The building phase lasts until the plant is about 15 years old, when the bush-like form is well-established. In the building phase, Heather excludes all other species. The mature phase continues until the plant is about 25 years old. Growth takes place much as in the building phase, although gradually it becomes less vigorous and towards the end of the phase, the centre of the bush begins to open and branches grow on the soil surface. By the mature phase, bryophytes (mainly mosses) colonize the soil surface because of increased humidity beneath the closed canopy. The degenerate phase, leading to death, is entered into after 30 years. The active growth of the leading shoots declines and the plant canopy continues to open and exposes more ground. 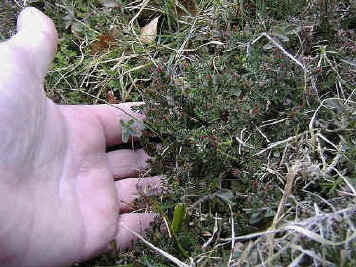 Bryophytes reach their maximum abundance in the degenerate phase and as the canopy becomes more open and bare ground appears, other species of vascular plants and Heather seedlings are able to re-establish. Where succession to woodland is checked, a mixed age structure of heather develops and plants representing all phases are distributed throughout the vegetation. When large areas are destroyed (for example, through fire), large, homogeneous areas of vegetation where all the plants belong to one phase (having the same age and structure), develop. The structural changes taking place in the Heather community have profound effects on the development of other species, considerably altering such factors as microclimate and available bare ground for colonization. This can be translated into comparable stages in the development of heathland.